If you are looking for an experienced Mt. Sterling, KY custom home builder Taylor Homes wants to talk to you. The Taylor family has been developing our custom home building process over the past 60 years to make it pleasant and stress-free for you. 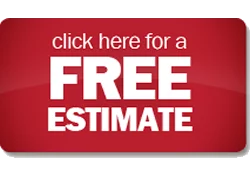 We start by providing you with our state-of-the-art pricing system which lists all of your construction costs so you won’t get any unwelcome surprises. Next we offer superior communication from start to finish; so your requirements are listened to and brought to fruition in your new custom home. The result is a beautiful new home built the way you want it, on your lot, better and for less than the competition. Taylor Homes builds custom homes from the low $100K‘s to $500K” and from 900 ft.² to 5000 ft.². 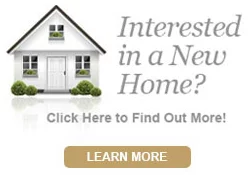 Whether you want to build a home in Mt. Sterling, Kentucky or any of its nearby communities, we look forward to working with you as your new custom home builder. Taylor Homes has built thousand of custom homes and we can build your new home in a contemporary or traditional style. Please visit us at our one of our design centers and model homes. You can select your a home plan and then have our design specialists help you modify it to make it unique. The interactive floorplan technology we use was built to enhance your custom home building experience. We invite you to create a unique Taylor Homes house plan and have us make the changes you in your custom home. It’s an exciting and efficient way to get your home plans finalized instead of waiting for them to be redrawn. You will enjoy a wide range of advantages when you build your custom home in Mt. Sterling, KY with Taylor Homes. Be sure to ask us about our home financing as we have a number of partnerships that allow us to provide you with options to fit your needs. You will also be glad to know that your investment in your new home is protected by our third party 10-Year Insured Transferable Structural Warranty. Another great reason to build with Taylor Homes is that we offer more standard features than our competitors, which can be a real money saver for you. Now is an excellent time to build a new home. Contact Taylor Homes today and let’s get started building your custom home.